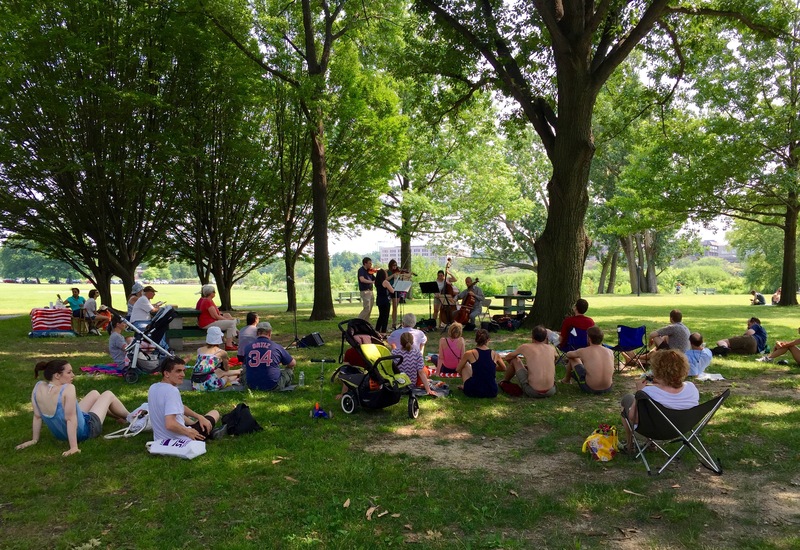 Magazine Beach was in full swing this past weekend with Tai Chi on Saturday, the swimming pool at capacity, Riverside Boat Club’s big regatta–the Cromwell Cup, and a concert by the New England Philharmonic. The river breeze and shade keeps you cool and what a delight it is to hear the sounds of birds, bugs, and children running and cycling around the park. 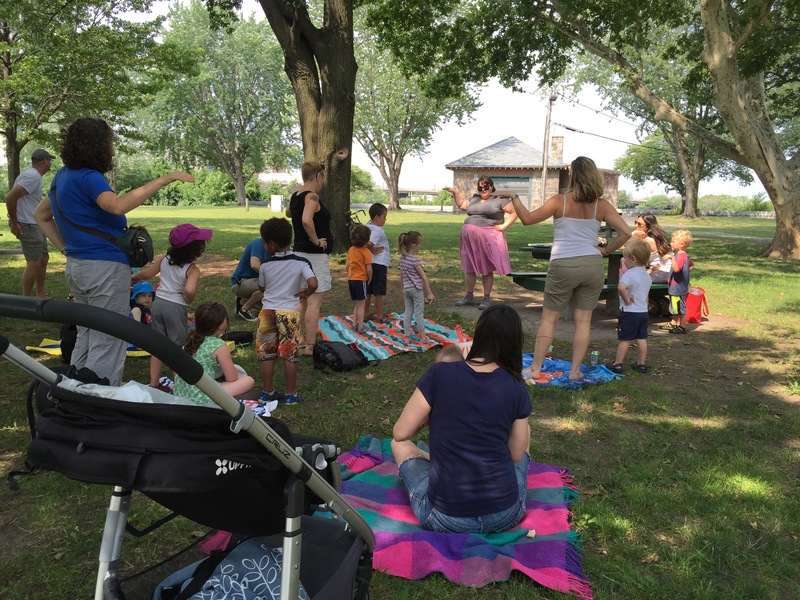 This morning Jamie Pittel brought stories and singing to the park. Nature Detectives (birds!) returns tomorrow. And don’t forget about Sports Day–including Swimming Olympics–this Saturday from 3-6pm! Many thanks to Sanofi, Forest City, MIT and the Charles River Conservancy for sponsoring all of this activity! in the shade.. This is food for thought..
DCR tried to fix the wading pool at the park a few years ago, but can’t. There’s a crack in the water line so they can’t get the right balance of chemicals in the pool. They are eager to install a new spray feature for children at the park but we’ve got to determine the right location first. They’ve just hired a landscape firm to update and complete the existing plans for the park; they will recommend the new location. Look for notice of a public meeting about plans for the upstream park of the park in the next weeks! We’ll want your input. I’l ask DCR’s Director of Aquatics about the lockers today. I’m thinking that they probably don’t want to be responsible for expensive electronics. Thanks for your feedback and welcoming any other suggestions for the pool and the park!